All accidents are unfortunate because of the lasting impact they can have on victims and their families, but the most damaging incidents are those that fatally injure a loved one. The station that a family member holds in our life is irreplaceable, and when an accident occurs which rips that person away from us, the despair that follows is incomparable to anything we’re likely to experience ever again. The negligence that created this pain should not go unpunished, and it doesn’t have to. The San Francisco wrongful death attorneys of the Nagelberg Bernard Law Group will not tolerate a negligent party attempting to shift the blame for the pain they caused. They already made one mistake that caused an accident in the first place, and they’ll be making another one if they try to go up against our experienced team. The considerable financial resources we’ve accumulated in 30 years’ time allow us to go up against any negligent party, no matter their size. Just because a defendant might be a multi-billion dollar conglomeration doesn’t preclude them from having to pay for their negligence. A quick glance at our case results should illustrate that we mean business. In fact, we achieved a record $27 million jury verdict against the city of San Francisco on behalf of a grieving family. Wrongful death comes in many forms, but all claims have one thing in common: the negligence of an individual or a company directly caused the fatal injuries of a loved one. This can mean that a driver failed to comply with traffic laws, a construction company had lax safety standards, or a product had a defect which posed a hazard. All of these things and more fall under the purview of wrongful death. To get started on your journey to reimbursement for all these things, give us a call to receive a free consultation. A member of our expert legal staff is standing by, so there’s no reason to wait. Monetary gain can’t bring back a loved one, but it can ensure that you and your family are protected in these tough financial times. 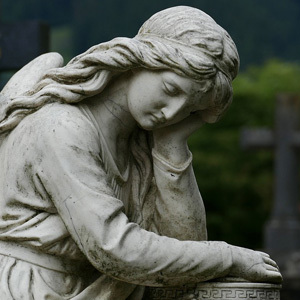 Contact the San Francisco wrongful death attorneys of Nagelberg Bernard today.